The Cape and Islands are world renowned for their beaches. With over 600 miles of gorgeous sandy coastline, you are always within an easy walk, bike, or drive of a beautiful beach. 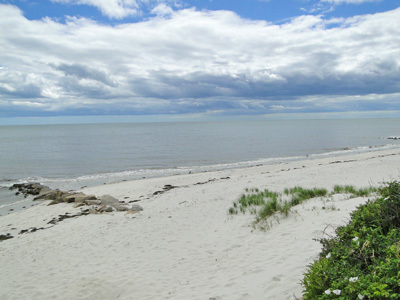 What's more, the beaches are both abundant and diverse in nature: from the calm, sandy flats of Cape Cod Bay to the more exciting surf along the Atlantic-facing beaches of the eastern Cape and southern shores of the Islands to the serene beauty of freshwater ponds and lakes. 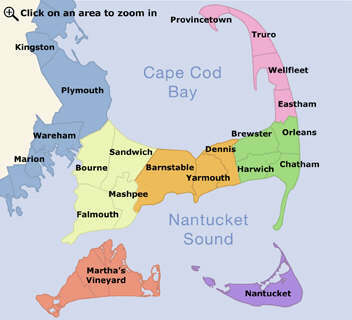 See our specific guides to Cape Cod, Marthas Vineyard, and Nantucket. Video of Cape Cod and Islands.